Good morning did you wake up to snow this morning? 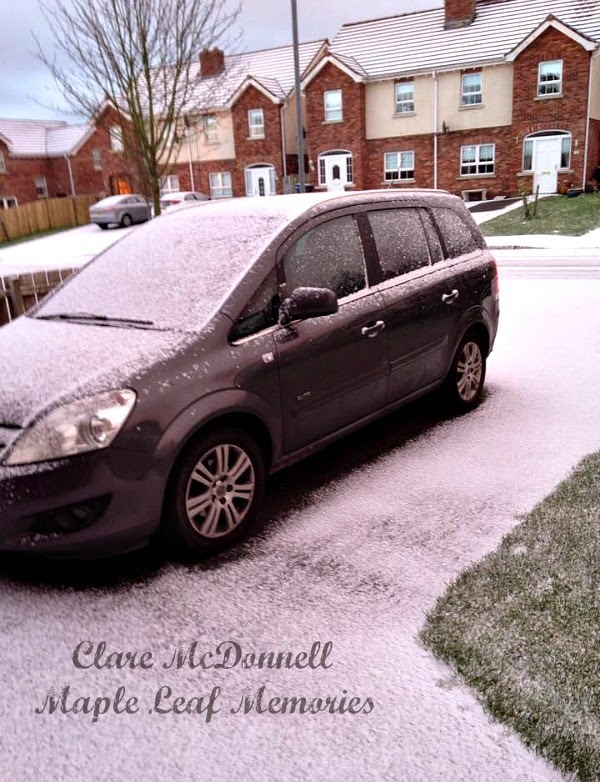 Although other parts of Northern Ireland have seen several inches over the last few days, we only have a light sprinkling, not enough for a snow day much to my girls disappointment. I want to share a card from this weeks card class with you today. 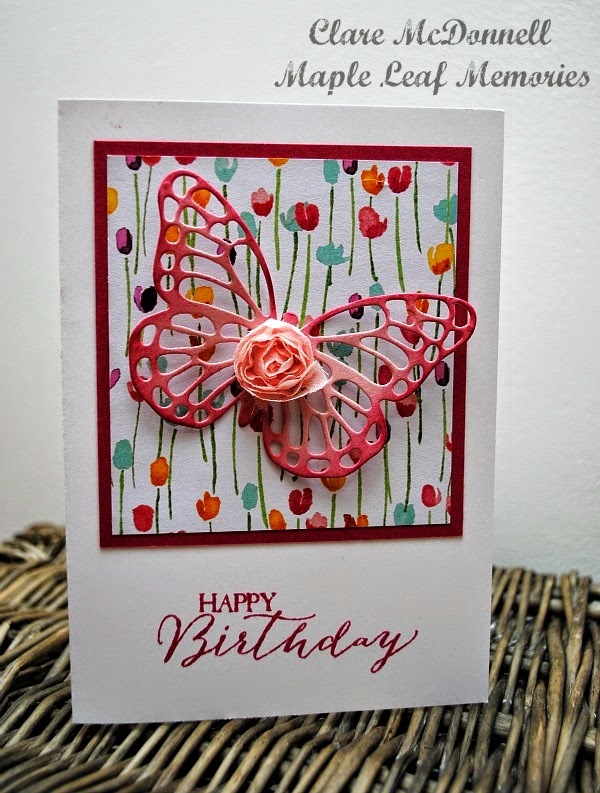 It is cased from a card I saw on Pinterest and features the stunning Painted Blooms DSP and the new Butterflies Thinlits Dies from the New Spring/Summer catalogue which is now available. 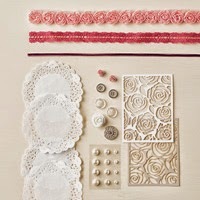 After cutting the butterfly from Blushing Bride cardstock, I inked up the edges with a sponge dauber and some Rose Red ink before adding a rosette cut from the trim in the Artisan Embellishment kit. We had this trim available in last years catalogue and I'm so glad to see it back in such a pretty Spring shade. 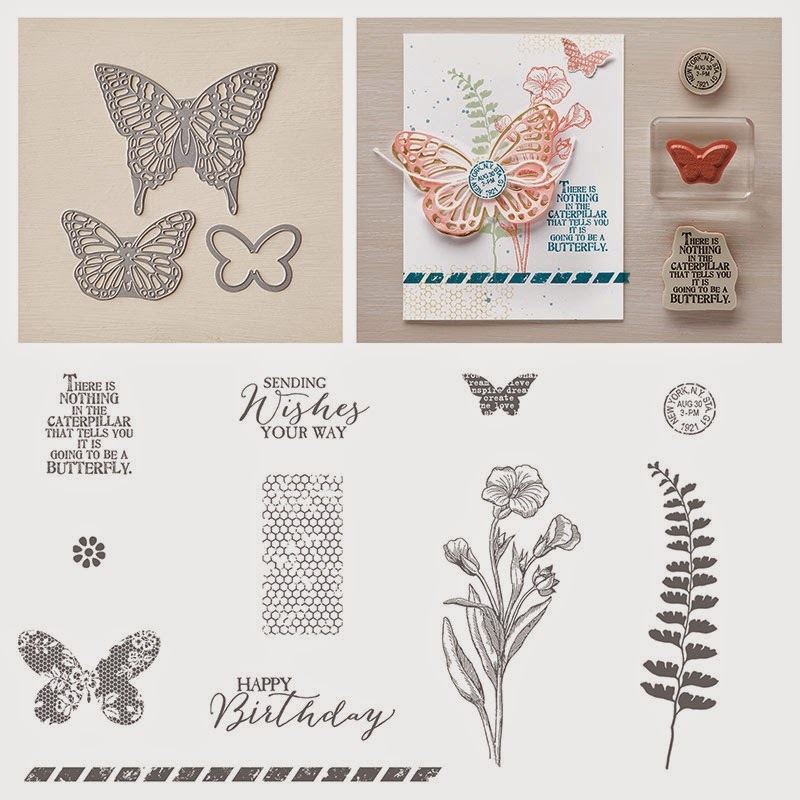 The greeting is from the Butterfly Basics set which is available to purchase as a bundle with the Butterfly dies for a 15% saving on the normal purchase price. 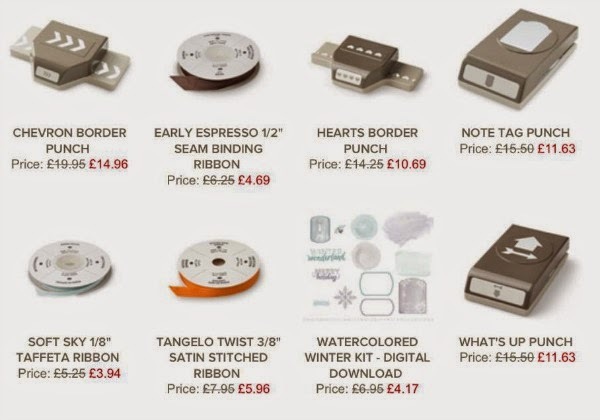 Don't forget to check out this week's deals over in my online shop - there are some gorgeous ribbons and punches on offer for one week only.